Spending yourself for customer projects? Looking to get reimbursed quick? You don't need keys and clicks to integrate. 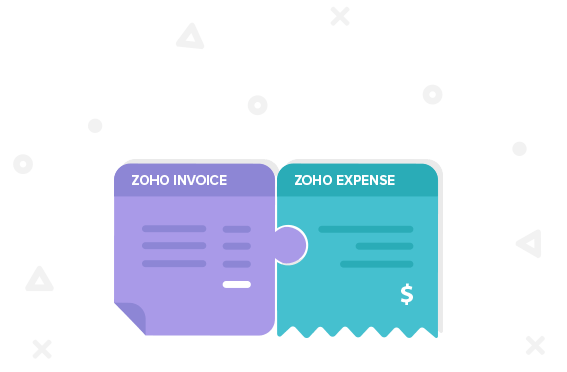 Infact, you don't ever have to do anything to connect Zoho Invoice and Zoho Expense. 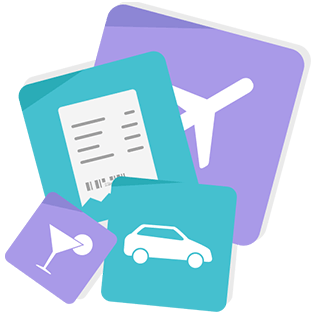 Login, use and watch the integrated apps do the magic for you. Ready to be billed in Zoho Invoice. Spending for the client projects and getting it reimbursed? 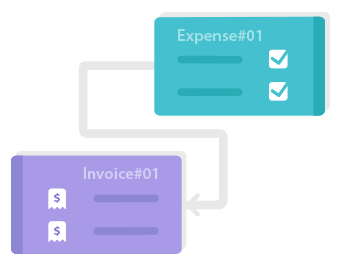 Create and approve billable expenses in Zoho Expense and bill them from Zoho Invoice. Keep your customers list in-sync! Avoid double entry of Customer information. 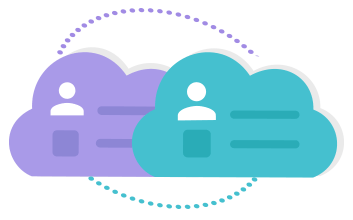 Customers created in one product will automatically appear in the other, including all the Contact Persons. 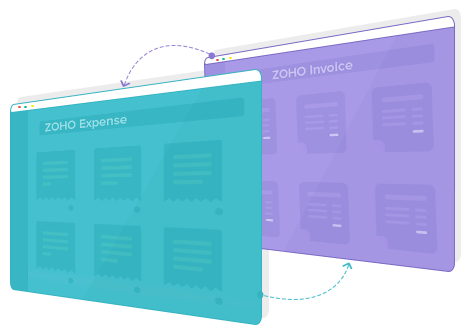 Projects created in Zoho Invoice will readily be available in Zoho Expense. 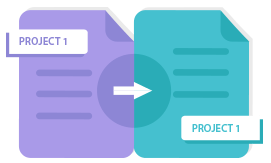 Create expenses for respective projects. ​Expensing & billing made easy!